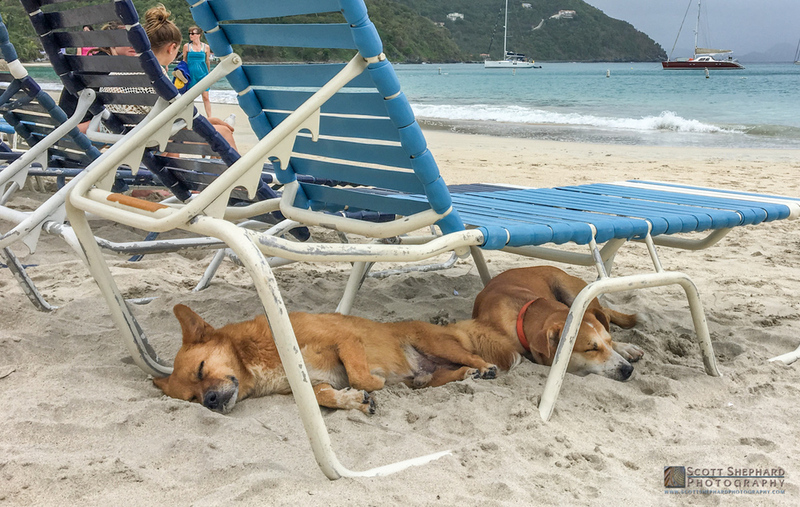 "A dog's life" on the beach at Cane Garden Bay in the BVI isn't all that tough. I had seen these two roaming the beach and working the crowd the day before. On this day, they seemed exhausted. No towel and beach chair for them - the cool, white sand is enough creature comfort. Life is good!